The stars of the Monster Energy NASCAR Cup Series will battle under the lights at America's Home for Racing, Charlotte Motor Speedway in what will surely be a night to remember. Prior to the racing action AJR will be performing the pre-race concert on Party Island located outside turn 1. Catch The Monster Energy Open that night for a fender-banging, last-chance qualifier to fill out the field for the biggest All-Star event in sports! We also have the Turn 4 Sun Deck and check out our Fan Tips with fan favorite drivers to get you set for Race Day! Stay after the race to catch Hairball performing in the infield with a free post race concert fueled by Monster Energy to cap off a fantastic night of racing. Here is the format for the 2019 race that will build on the excitement of last year. 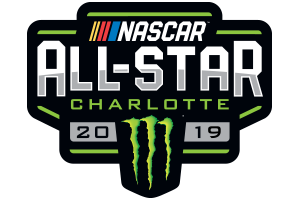 Drivers who have won a points event in either 2018 or 2019 are eligible, as are drivers who have won a previous Monster Energy All-Star Race and compete full time. Drivers who have won a Monster Energy NASCAR Cup Series championship and compete full time also are eligible for the event. One driver will also be added to the field by winning the Fan Vote.